The women’s Speedo Aquapure goggle is now available with a prescription lens, so you can enjoy corrected vision in addition to our innovative goggle technologies. Featuring revolutionary IQfit™ Technology, the Speedo ® Aquapure Optical Prescription Goggles have been designed to deliver our most accurate fit for maximum leak-resistance, and can be customised with a prescription lens that’s made to suit your needs. Our available diopters range from 0 to -8.0 to correct short-sightedness. Simply choose the dioptre that matches your prescription from the options provided. NEW women’s fitness goggle with prescription lenses. Wide diopter range from a 0 to -8.0. 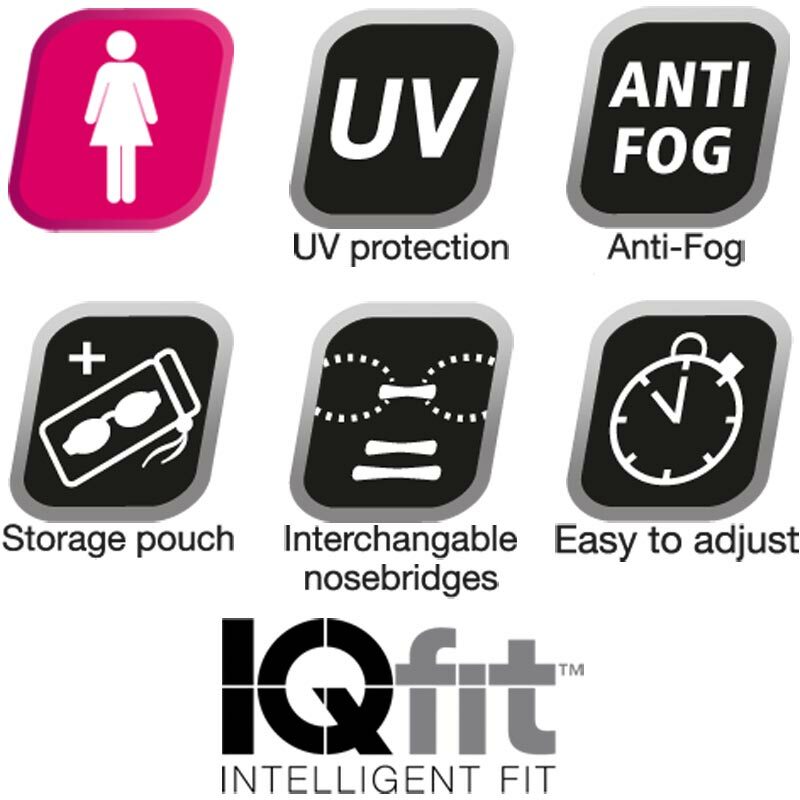 IQfit™ Technology, based on global head scanning data, offering ultimate fit and comfort. This product is made from: LENS: PC SEAL: TPR STRAP: Silicone FRAME: TPR. 5 out of 5 Great prescription goggles! The best prescription goggles I’ve tried! Really comfy to wear, don’t leak and come with adjustable nose bridges so get a really good fit! They also look nice compared to a lot of the other prescription goggles out there! 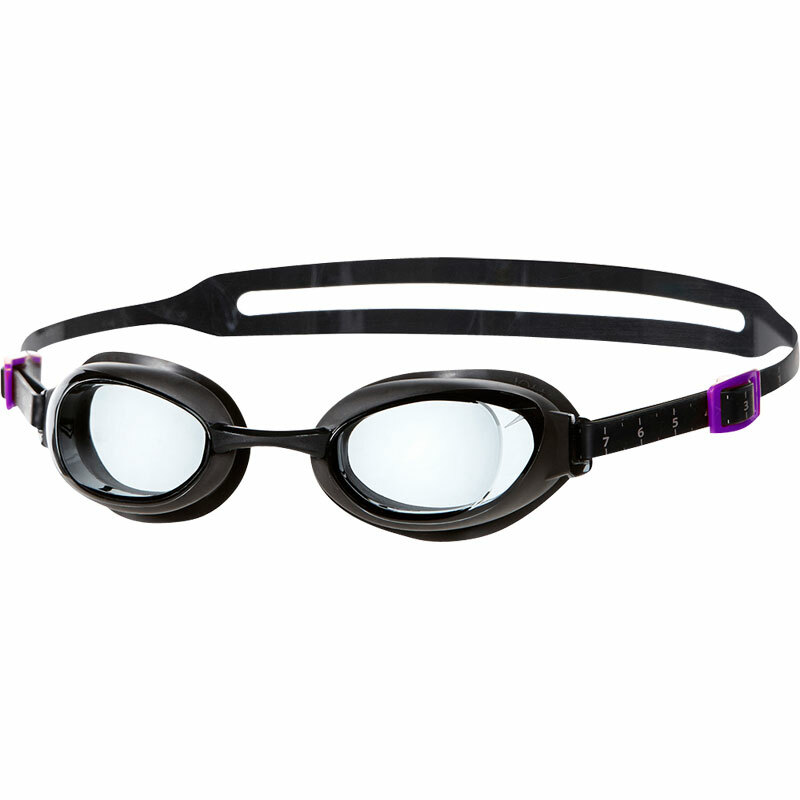 For the price, these are a good option for short-sighted swimmers. 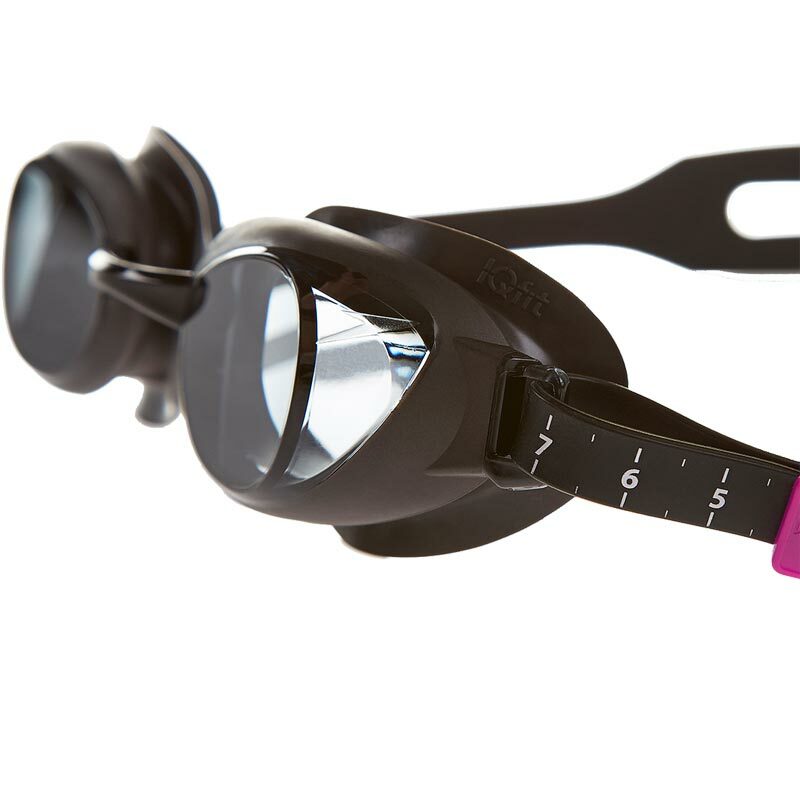 The tightness adjustment on the side is a simple sliding buckle; very easy to operate but it doesn't lock in position as securely as some other goggles we've had in the past, so you do have to tighten them up more frequently.